B-TEK Workhorse platform scale is designed for the most extreme industrial weighing applications. Heavy and frequent material handling vehicle traffic, highly concentrated loads such as steel billets are no problem for the Workhorse. The Workhorse is available with capacities from 20,000 to 40,000 lbs. The B-TEK Workhorse large capacity platform scale is designed for the most extreme industrial weighing applications. Heavy and frequent material handling vehicle traffic, highly concentrated loads such as steel billets are no problem for the Workhorse. The Workhorse is constructed with wide flange beams and heavy tread plate decking to form a robust weighing platform. 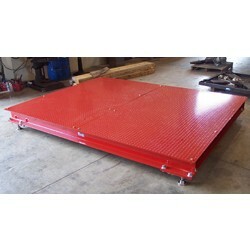 The Workhorse heavy duty large floor scale is available with capacities from 20,000 to 40,000 lbs. The Workhorse can be mounted above ground or in a pit foundation. B-TEK prides itself in the ability to customize weighing platforms to meet unique requirements so the straight forward scale design of the Workhorse allows almost unlimited platform customization. Custom floor scale sizes available. 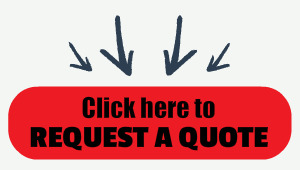 Contact the sales team at Central Carolina Scale today (919) 776-7737 for a quote.